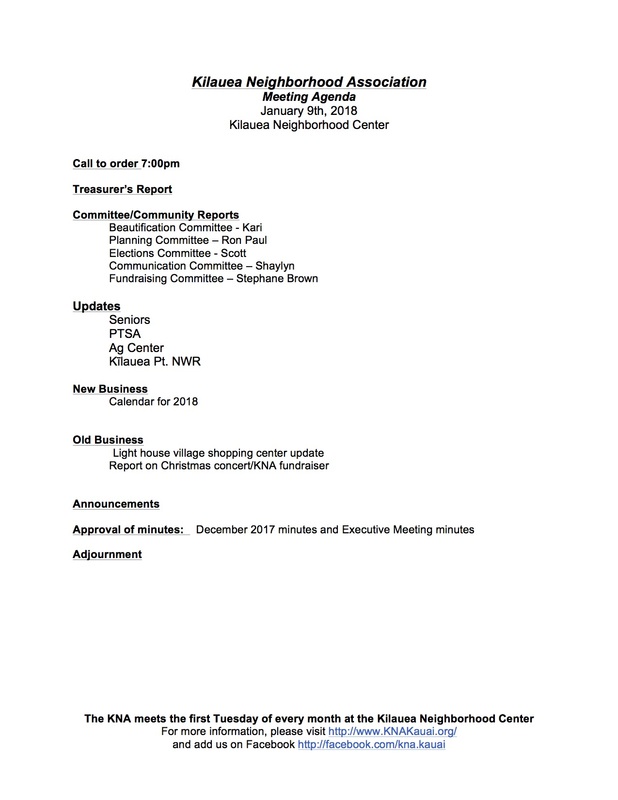 This Tuesday evening at the KNA February meeting the team responsible for implementing the county and state program to create safe walking routes to our schools will present their current proposals. The team wil also announce the last planned “charrette” or group brainstorming session that will be held this coming Thursday. 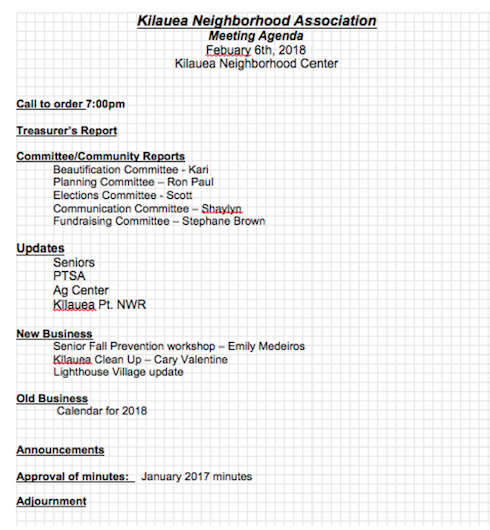 Your next gathering of the KNA is this Tuesday, 2/6/2018, at 7pm at the Kilauea Neighborhood Center. Kilauea Hazardous Waste Collection day. Date and Time; Saturday, January 13 from 8:00 am- 3:00 pm. This Blog is available for community event announcements. Posts encountered on this blog do not necessarily reflect the majority opinion of the board of the KNA and are subject to review by the communications committee to maintain an “event announcement” character. 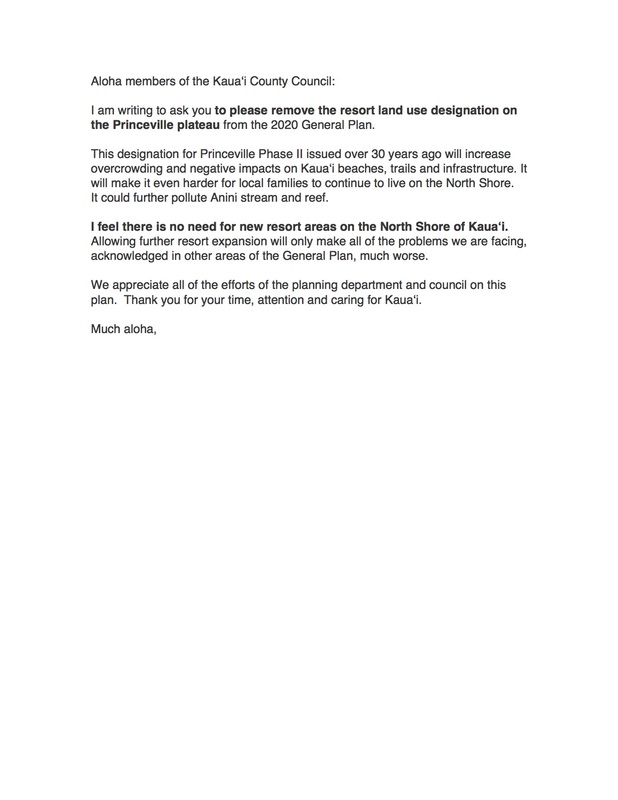 Not too late to send written testimony for Kauai General Plan in regards to Princeville zoning decision. This post was submitted by community members closely involved with the zoning issue. Announcing the 3rd annual Kilauea Christmas Concert! This free concert is being presented by Kellen & Lihau Paik in cooperation with many community volunteers! Each year this event grows and this year it has been moved to the Kilauea Ballpark and will be performed on the County stage.